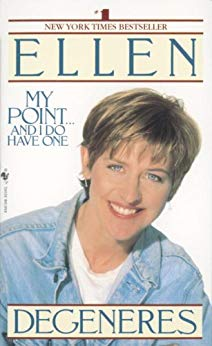 In this #1 New York Times bestseller, Ellen DeGeneres shares her hilarious take on everything from our most baffling human foibles–including how we behave in elevators, airplanes, and restrooms, and why we’re so scared of the boogeyman–to fashion trends, celebrity, and her secret recipe for Ellen’s Real Frenchy French Toast. Most of all, this witty, engaging book offers insights into the mind of one of America’s most beloved comics.…Dear Reader,I was awfully excited when I was asked to write a book. I was however, nervous. I was afraid I didn’t have anything important to say. But when I began writing, I realized that although I don’t know a lot about any one thing, I know a little about a whole bunch of things: baking a pie; dancing; curing the common cold; running the Iditarod–it’s all in the book. And I realized I notice things that maybe some people don’t notice (or they don’t notice that they don’t notice). That’s all in the book, too.From the Trade Paperback edition.